In July, Google rolled out Glass Enterprise Edition. For many people, Glass’s second act came as a surprise. After all, in 2013, Glass appeared with great fanfare but then crashed and burned as a viable product just as quickly as it appeared to come on the market. So far, Glass Enterprise Edition appears to be having a much better run. Unlike the original Glass, however, which was marketed to everyone, Glass Enterprise is focused on niche markets. 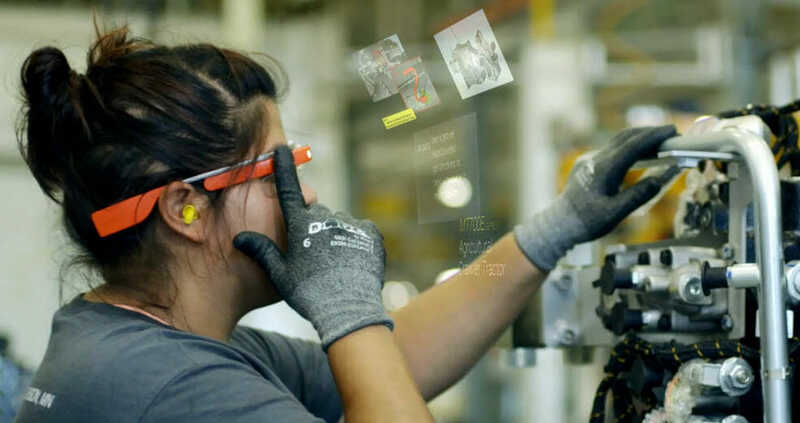 The major focus on Glass Enterprise is workplace training, and as Google’s case studies reveal, so far, this initiative has been getting rave reviews from employers and employees. One featured company during the Glass Enterprise launch was AGGO, which builds agricultural machinery in Jackson, Minnesota. By reducing the time workers spend accessing checklists, viewing instruction manuals, and sending photos from computers and laptops as they assemble machines, Glass Enterprise has helped them reduce machinery production time by 25 percent. The company now also spends 30 percent time inspecting final products. Peggy Gulick, AGGO’s Director of Business Process Improvement, emphasizes that with Glass Enterprise, her employees are able to work “smarter, faster and safer” and the reason is simple. They now have all the information they need to do their job in their line of sight. While Glass Enterprises’ impact on the workplace is certainly great, over the past six months, Google has been collecting other case studies about Glass’s second acts’ impact. Beyond the workplace, people have started to use the device in a range of creative ways, including ways that support people with various types of disabilities. Aira, for example, helps the visually impaired carry out a range of everyday tasks. As stated on the Aira website, “Aira is today’s fastest growing assistive community, revolutionizing the everyday lifestyles of people who are blind or low vision. Advanced wearable technology with wireless access to a distributed network of trained human professionals unlocks the potential for Aira explorers to efficiently accomplish any task, big or small.” The “wearable technology” in question is Glass Enterprise. While some applications are practical (navigating the New York public transportation system), the technology also enables people who are visually impaired to run marathons and go on hikes. Another notable Glass Enterprise application can be found in partner company, Hodei enables doctors to care for patients in remote locations by providing real-time advice on interventions to on-the-ground caregivers, including nurses and other clinic staff. What’s Next for Glass Enterprise? Glass Enterprise’s current partners are discovering that Glass holds the potential to do much more than transform the world of workplace training. It seems likely that moving forward, Glass will not only be used to train new workers but also to monitor and support workers as they continue scale up their skills over time. In a world where constant re-skilling is becoming the norm, it seems likely that Glass Enterprise and similar wearable technologies will soon be a key part of workplace uniforms. The real question is how quickly wearable technologies, such as Glass, will become affordable and widespread and how quickly developers will respond by launching innovate applications for the new device.